As of the 12th class day, the unofficial UNT enrollment has climbed to a new all-time high of 33,550 students — an increase of 1,503 students or 4.7 percent over last fall. This is the sixth consecutive year UNT has posted a new all-time high enrollment and the 10th consecutive year enrollment has increased. Last year, UNT enrolled 32,047 students in the fall term, and in 2002 the university's enrollment surpassed 30,000 students for the first time. UNT's total undergraduate enrollment is up 5.4 percent (1,364 students) from 25,308 in fall 2005 to 26,672 this fall. The fall 2006 UNT student body includes the largest group of straight–from-high-school students in the university's history — 3,885 freshmen, including students in the Texas Academy of Mathematics and Science and dual admits. Reversing a downward trend over the past three years, graduate enrollment is up 2.1 percent (139 students) from 6,739 in 2005 to 6,878 this fall. The number of African American students increased by 342 (an increase of more than 9 percent) to 4,010 students. This year, African American students make up approximately 12 percent of UNT’s total enrollment. At the same time, the university’s Hispanic student population increased by 353 students over the 2005 numbers (an increase of 10.8 percent) to 3,628. This fall, about 11 percent of the students currently enrolled at UNT are Hispanic. Since 2000, UNT’s African American student population has grown by 60 percent and the Hispanic student population has grown by 71 percent. The Texas Higher Education Coordinating Board verifies enrollment numbers and makes them official later in the fall. Thomas Evenson began serving as interim dean of the College of Public Affairs and Community Service on Oct. 1. He replaces David Hartman, who announced in October 2005 his plans to resign as dean this fall after 14 years. Hartman is returning to teaching in the Department of Anthropology. Evenson, an associate professor in the Department of Rehabilitation, Social Work and Addictions and former department chair, previously served as associate dean of the college from 1999 to 2005. Most recently he served as faculty executive assistant to the president and for a short time as special assistant to the provost and vice president for academic affairs. 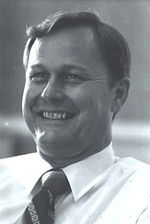 He joined the UNT faculty in 1980. A native of Ellendale, N.D., Evenson earned his bachelor’s degree from the University of North Dakota, master’s degrees from North Dakota State University and Our Lady of the Lake University and a doctoral degree from the University of Arizona. The national search for a dean, which began in March, is expected to continue through November with the aim of having a dean in place this spring. Judy Wilson Dereta (’91) was the class sponsor for 40 Springtown High School seniors who got a treat on their tour of campus in December 2004. They found the squirrel at play in a tree near the Union. Dereta, who had her camera with her for “senior memory pictures,” took these shots. The albino squirrel informally known as Baby, who enjoyed a good two years on campus between the University Union and Scoular Hall, died Aug. 21 in an unfortunate encounter with a red-tailed hawk. The squirrel, thought to be a good luck charm for students who passed him on their way to take exams, was quite the celebrity. 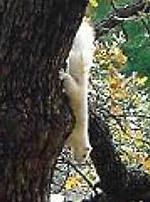 The Albino Squirrel Preservation Society first formed to raise awareness of Baby’s predecessor, an albino squirrel officially named Thelonius, and stories of the society and the squirrels made their way to the Chronicle of Higher Education, the Chicago Tribune and CBS affiliates throughout the nation. Sightings of Thelonius, who favored the grounds behind Willis Library, ended in 2004, not long before Baby was spotted. Although the squirrels were adored by many, they were not without their detractors. A referendum to make the albino squirrel the official secondary mascot of the university (which did not pass) drew the ire of some Eagle fans, who are quick to note that the red-tailed hawk is a close relative of the eagle. UNT is among six campuses nationwide to be recognized by the Automobile Association of America for efforts to prevent drinking and driving. Some of the UNT prevention and awareness programs on campus include the Mean Green Screening, where students get free anonymous screenings for alcohol and drug abuse; Safer Spring Break campaigns, which include drunk driving simulators; annual theme events focusing on alcohol-free alternatives; a drug and alcohol education coalition; a campus watch group that monitored the campus for signage promoting inappropriate alcohol use; and screening, assessment and intervention for students violating the Student Code of Conduct. As part of the recognition, UNT will participate on a panel at a meeting on “Alcohol and Other Drug Abuse and Violence Prevention in Higher Education,” sponsored by the U.S. Department of Education in Washington, D.C., in October. Evening pantsuit of coral silk blouse and pants with coral ostrich jacket. Designed by Oscar de la Renta, c. 2000. Gift of Mercedes T. Bass to the Texas Fashion Collection. In September UNT opened Fashion on Main in downtown Dallas, the first permanent exhibition space for items from the Texas Fashion Collection. The space is at the Universities Center at Dallas at 1901 Main Street, a former Joske’s department store that now provides office and classroom space for seven higher education institutions including UNT. The premiere exhibition, Flights of Fancy, featuring exotic 20th-century designer fashions, opened to the public Sept. 22. The Texas Fashion Collection, which began in 1938 when Stanley and Edward Marcus preserved examples of top designers’ works in honor of their aunt, Carrie Marcus Neiman, came to the UNT campus in 1972. It has grown from 3,000 items to more than 15,000, stored in Scoular Hall on campus. Myra Walker, professor of visual arts, has been director and curator of the collection since 1987. Winfree L. Brown (’51), 79, who served as chair of the UNT Board of Regents from 1979 to 1985, died Sept. 3 in San Angelo. The first alumnus to serve as chair of the board, Brown presided over the search that named Alfred F. Hurley as UNT’s 12th president and second chancellor in 1982. Brown, a native of Christoval, entered North Texas after serving in the Navy in World War II and earned a bachelor of business administration degree. He worked as an independent landman for 50 years, assembling and promoting oil and gas drilling prospects. From 1970 to 1994 he served as a Midland County commissioner. 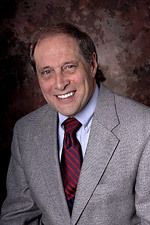 In December 2005, Gov. Rick Perry appointed him to the Upper Colorado River Authority and he participated in the White House Conference on Aging at the request of President George W. Bush.